…I think I blacked out for a moment. I said in a previous post there are ingredients in recipes we cannot taste, but make a dish amazing instead of simply good. Sour cream is the secret here, even though its in the title so I guess it cannot be considered secret. However, if you were to give this cake to someone and ask them what they think is in it, sour cream would most likely not be on their list. The sour cream adds moistness and richness, not flavor to the batter and may also be what causes one to eat slice after slice, crumb after crumb until they are using their fingers to pick up pieces of leftover cake on the platter. It happens. 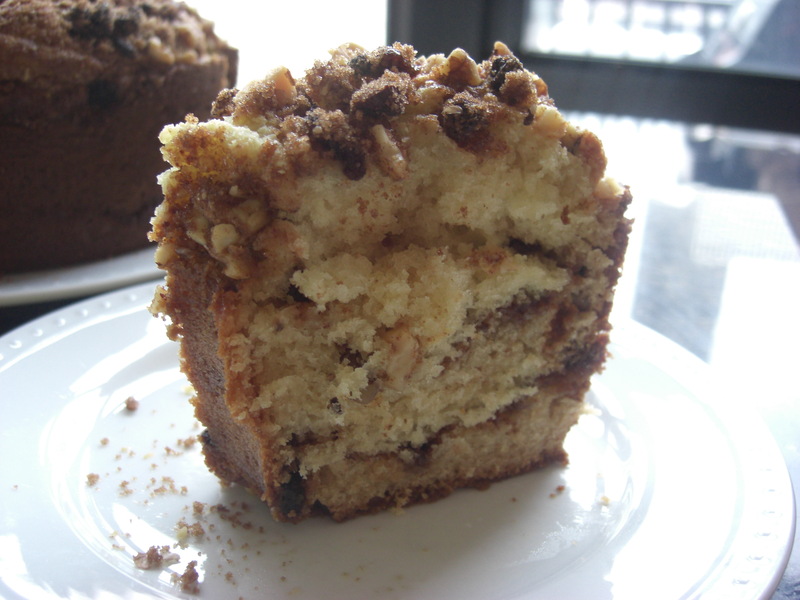 There is a trick to the cinnamon swirl; thickly pile it making it a true layer. 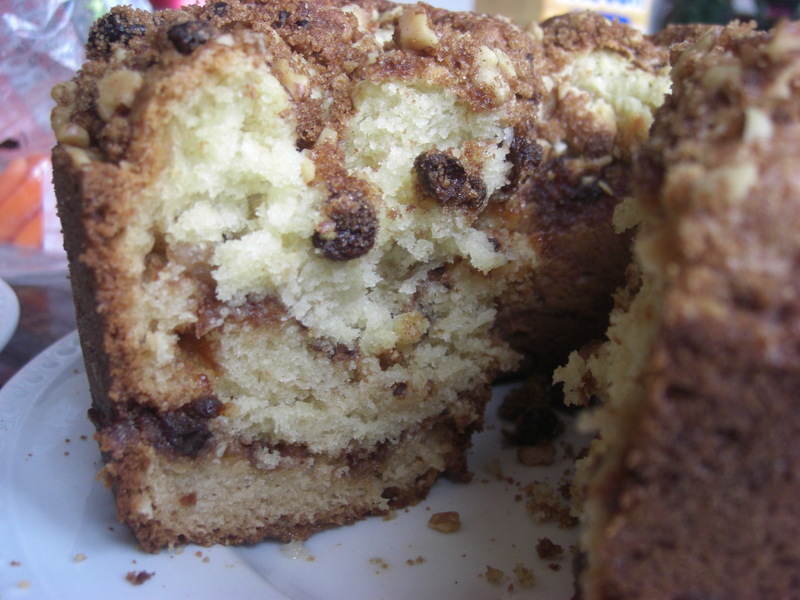 The slices look pretty and you are left with a cakey, cinnamon crunchy, chewy raisin taste-layering effect. 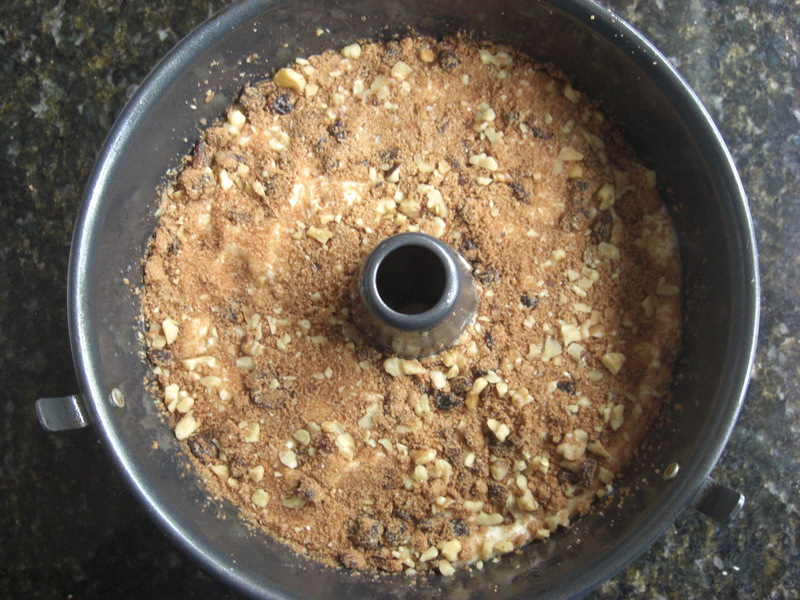 Combine brown sugar, chopped nuts, raisins, and cinnamon. Set mixture aside. Sife together flour, baking soda, and salt. Cream butter and sugar. Beat in eggs, one at a time. 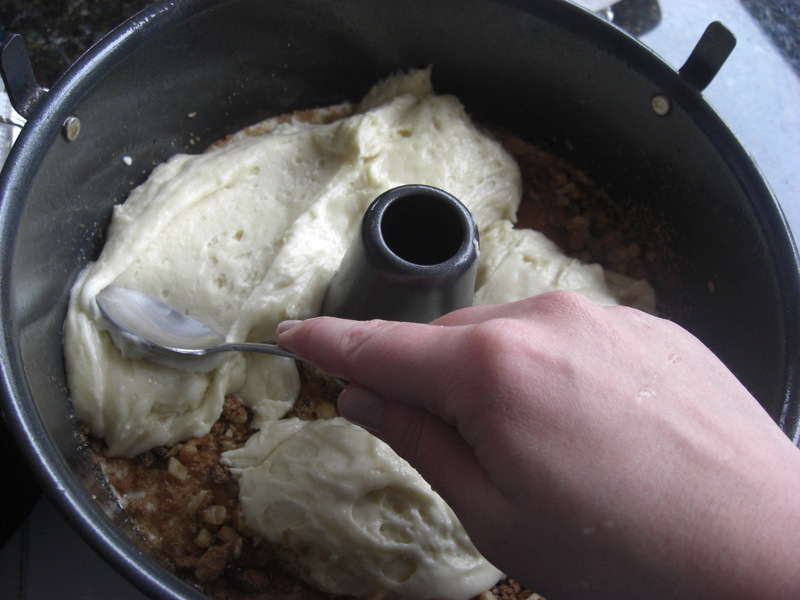 Stir flour mixture into butter mixture alternately with sour cream. 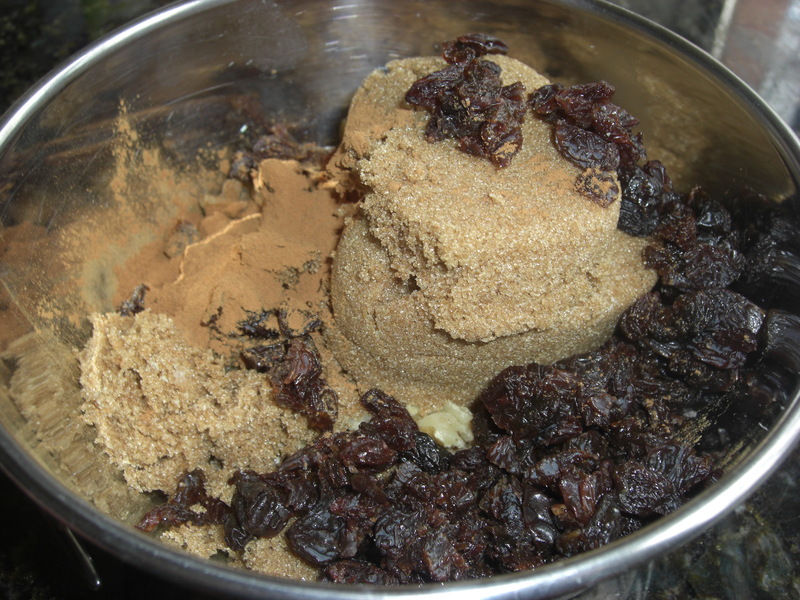 Stir until smooth after each addition. Pour 1/3 of batter into greased 10 inch tube pan. 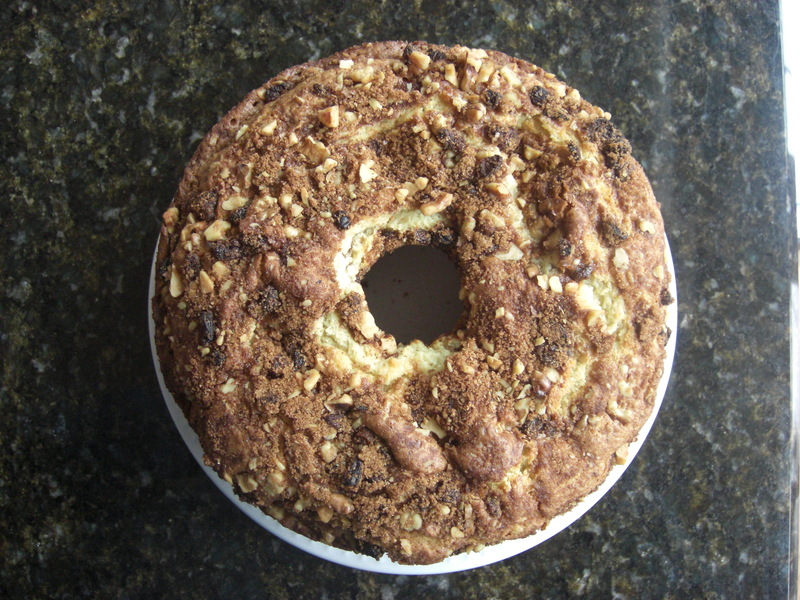 Sprinkly with 1/3 of nut mixture. Repeat two more times. 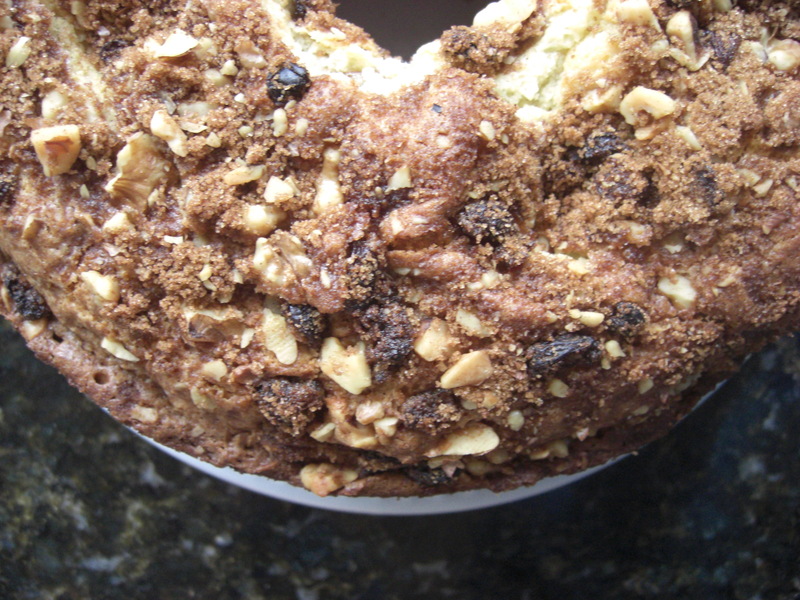 When sprinkling last bit on top, try not to add many raisins as they tend to burn (leave them more for the middle layers). 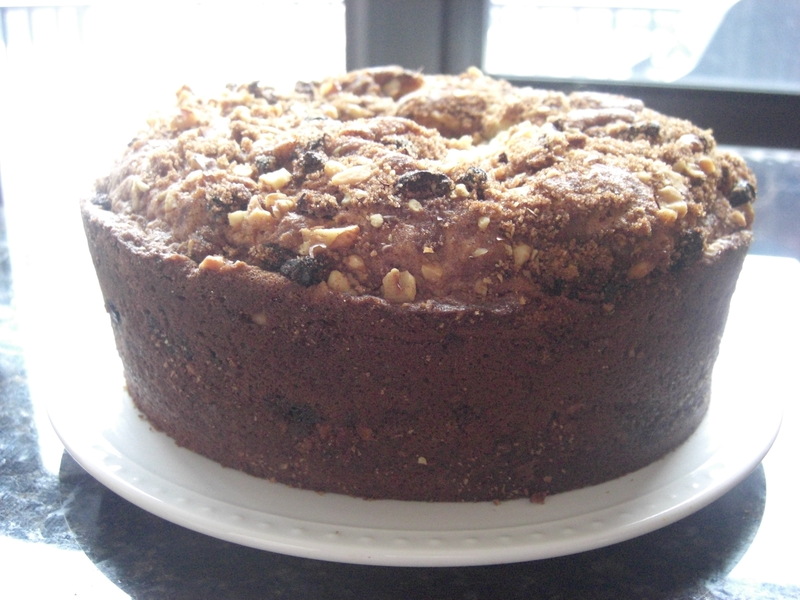 Bake for 1 hour and 15 minutes, but test after 1 hour with a cake tester to see if done. Cool in pan on rack for 30 minutes or more. Serve with coffee…or not.